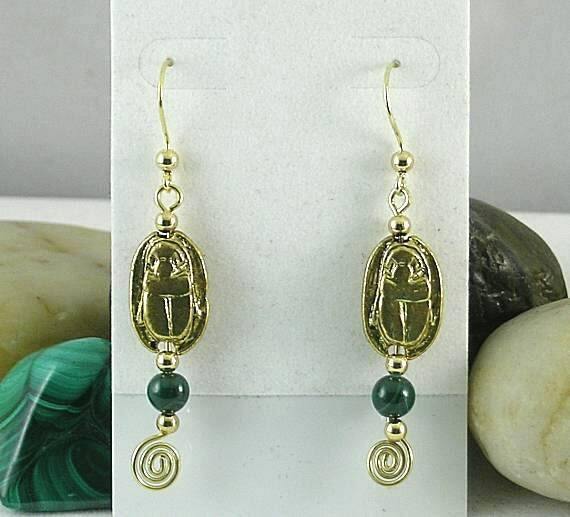 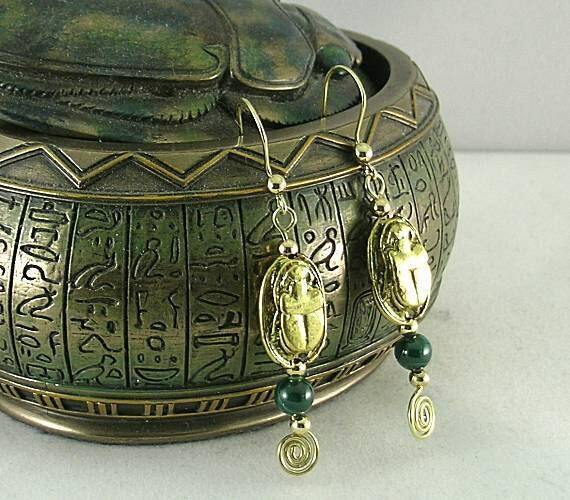 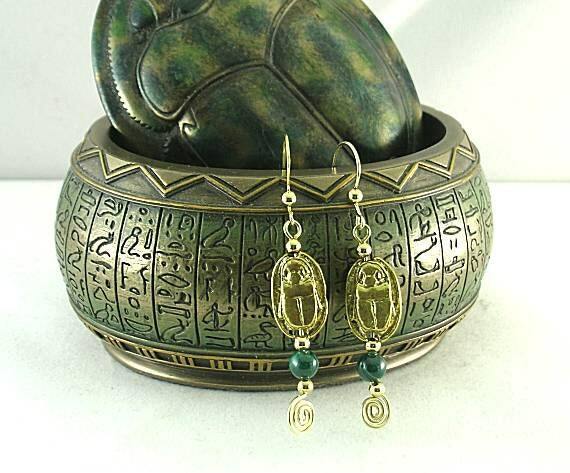 These earring are made with a pendant that consists of a metal scarab bead (18x11mm) with a 6mm malachite bead sitting on top of a sacred spiral handmade headpin. 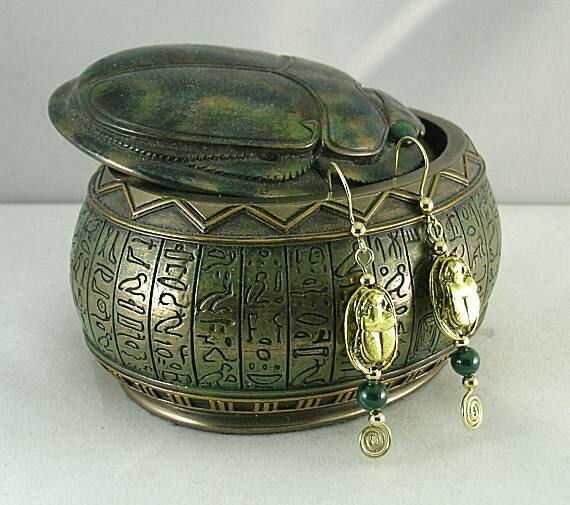 It has metal spacer beads on the top and bottom. 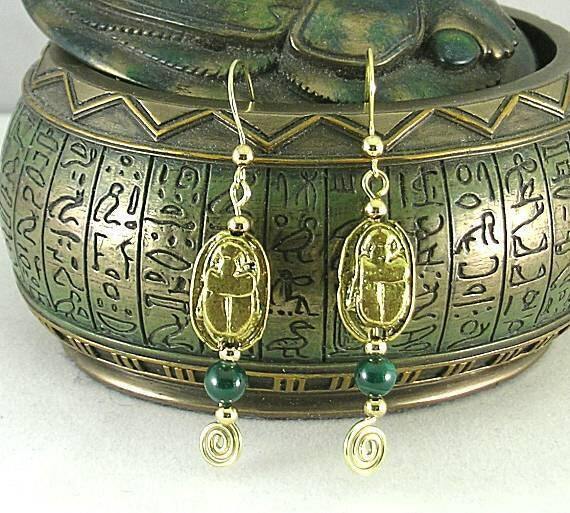 This pendant is attached to a handmade earwire.